Alas, we just got too much rain and the fields are too wet and there's not enough time to dry them with all the hair dryers in a half-mile radius. We look forward to our NEW Opening Day next Saturday 4/27. Tee Ball Starts This Saturday! 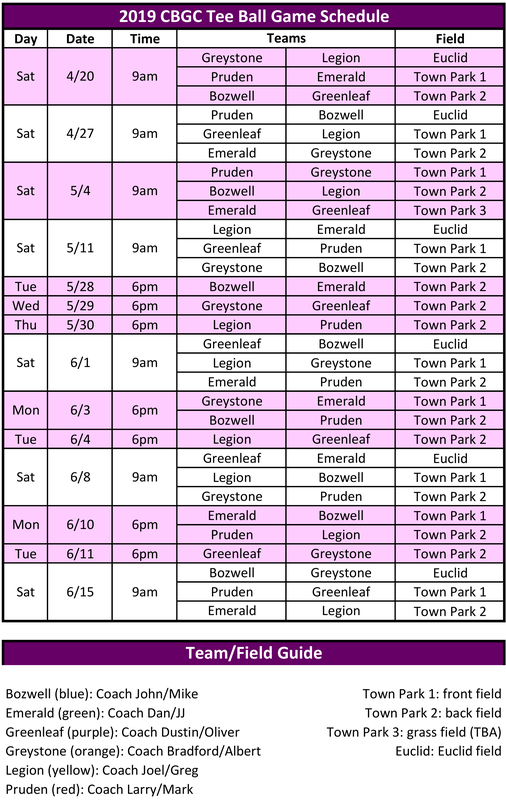 Teams have been assigned, shirts are in, and the tee ball game schedule is complete! Check out below to see when you play (and even further down to see whose team is whose and what color is what). See you on the field!